A UK company specialising in the manufacture of tungsten carbide hard metals and tungsten carbide products. Used in engineering and industries from the petro-chemical to motorsport. The Dymet Tungsten Division supplies a wide range of centreless ground rod and cut to length rod, discs and shaped electrode components finish ground in-house to a high specification and tolerance for use in the specialist lamp, electronics and resistance welding industries. 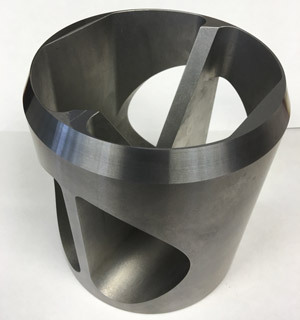 Established in 1952, Dymet Alloys produce a wide range of ISO standard and special Cobalt and Nickel binder tungsten carbide alloy grades including sub-micron grades in-house to meet individual customer specifications and requirements for both cylindrical and flat sintered and finished ground components. We have been producing tungsten carbide hard metal products at our own purpose built premises in Hampshire since 1952. We specialise in working with tungsten carbide materials to create finished products in both the as-sintered and finished ground condition. We also offer help with product design, and advice on the best method to produce more complex profiles. We also offer help with product design, and advice on the best method to produce more complex profiles.